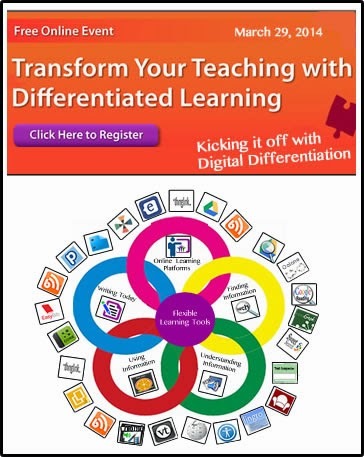 Sharing resources from my Digital Differentiation Webinar today, sponsored by Simple K-12. 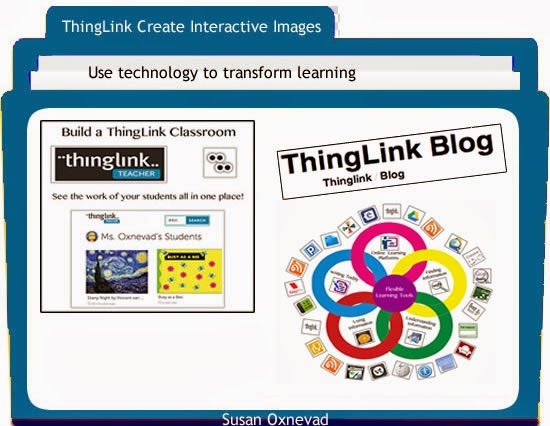 Explore these flexible learning tools through this interactive graphic, created with ThingLink for teachers. 7 Tips for Rookie Bloggers! Yesterday I was thrilled to hear from a friend and valued member of my PLN, Bobbi Capwell. She published an insightful guest post to share struggles, experiences and advice about becoming a blogger. Her post is sure to inspire educators to blog! It is with great pleasure that I share Bobbi Capwell’s post with tips from the heart for rookie bloggers. 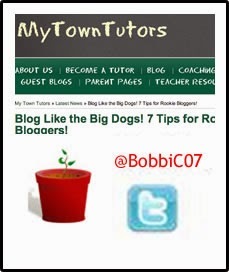 Read the entire post on MyTownTutors.com and follow @BobbiC07 on Twitter. Congratulations to Bobbi, and blog on! I love learning and growing-that may sound sappy but it is the truth. I feel that learning is very similar to gardening. As a person that struggles with growing anything other than grass in my yard, it will sound even stranger! When I found myself getting frustrated, I had to remember that every plant grows at its own pace. I can learn at my own pace too but can I write? Sometimes I tend to forget my own learning and that is why I wanted to start a blog. I wanted to share what I was learning by writing it down. (In my head, I had planted the seed! With an abundance of information to sift through, content curation is an important survival skill for teachers and students today. Content curation is a method of collecting and managing web content for sharing and reuse. With so much content to collect, and so many free tools for curating content, it’s easy to get lost when trying to take on this task. It’s also difficult to know where to begin. Please join me and Simple K 12 for a free day of learning on March 29th. I’ll be kicking off the day of learning with an overview of flexible tools to support personalized learning, an essential component of Digital Differentiation. Explore my redesigned flexible toolkit during this webinar at 10:00 AM EDT. If you open a Google Doc or Spreadsheet you will find a new option in the menu bar named Add-Ons. An Add-On is a way to add functionality to Docs and Sheets through integration with 3rd party apps. It’s similar to the Google Chrome Apps store. There are many useful tools to Add-On to Google Docs to improve the efficiency of working in Google Docs. 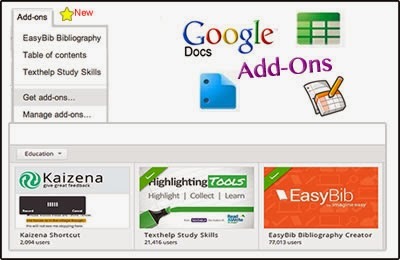 You’ll find Add-Ons to help you get your own work done, and also for use in the classroom. To grab an Add-On, select the Get add-ons… option from the Google Docs menu bar on any Document or Sheet. You will be taken to the Add-ons store where you will find many useful Add-Ons to choose from. Many of the Add-Ons are well suited for the type of work teachers and students do, such as Hello Sign for utilizing electronic signatures, and Table of Contents. 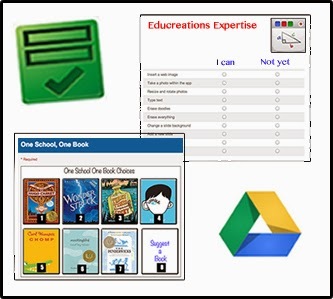 With so many Add-Ons to install and explore I decided to narrow the results and take a closer look a Add-Ons labeled for education. At the time of this writing, there are three. 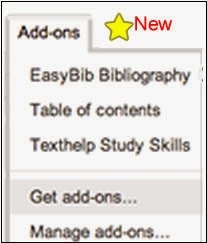 The EasyBib Bibliography Creator provides Google Docs users with direct access to citation formatting. Users can create citations, format them, and insert them directly into a Google Document. 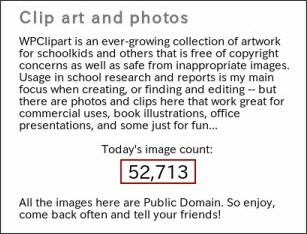 this one click access is an extremely useful way to streamline the process of teaching students about acknowledging the relevance of the works of others. Watch this video to learn more. Highlighting just got more efficient with the use of the Text Help Highlighting Tools. This Add-On provides the functionality of collecting and organizing highlighted text that is displayed in separate document for use. This trick to using this tool could be the need to think about and define the organizational structure of a piece of writing prior note-taking so the colors can be used effectively. One way to teach students to think about organizing notes as they highlight information is to help them define the organizational structure of a piece of writing through a well-designed rubric. The third option labeled for education as a Google Docs Add-On is a shortcut to Kaizena. When users choose this feature their document leaves Google Docs and opens in Kaizena for even more options. Since this Add-On requires more than one click to access, I haven’t yet fully explored it, but you can learn more about Kaizena by watching their tutorial. I’m looking forward to learning more about Add-Ons and watching them develop. As I explore teaching and learning in a 1:1 iPad environment I’m excited about the potential of using Google Drive Forms as a teaching tool. Forms display well on any Internet connected device, and they are packed full of features that can be used to collect feedback, communicate, check for comprehension and best of all, teach. When our school improvement team decided to take on One School, One Book this year, I designed a Google Drive Form as a vehicle for collecting information and more in one shot. The form efficiently collected votes from our entire school community, a diverse group of stakeholders age 5-105. The form functioned like an interactive multimedia powered journey. It introduce participants to the book selections to help them make informed decisions before casting a vote for their preferred book. Call it one stop shopping, or simply call it efficient, this form worked well. Please check it out for yourself to understand the power of the tool. Feel free to actually submit feedback, it has served it’s original purpose and is no longer in use. Within the past month I’ve used the Google Drive Form to drive instruction in quite a few efficient and effective ways. Here are a few highlights. Educreations Expertise – I created and successfully used a form to introduce students to all the features of Educreations prior to a collaborative project with 1:1 iPads. Flipped Lesson for Parents – I recorded and narrated a required slideshow presentation for parents. I embedded the video broadcast into a Google Drive Form along with questions to check comprehension and eventually provide answers. In Box – I’ve been creating and using Drive Forms as In Boxes to collect and organize student assignments for more than three years now. This is a very popular idea otherwise known as an Assignment Tracker which originated on the blog of an innovative teacher, John Miller. Join me and Infinitec for a free webinar designed to highlight the best features of Google Drive for Collaborative Learning. I’ll be sharing forms, ideas and demos along with some updated highlights of a Google Docs Glog I designed in 2012. The webinar is open to all.